Taste test: These are not baked crisp-like chips, but rather they look like potatoes that have been thinly sliced and then baked instead of fried in oil. It makes for a very crunchy chip. 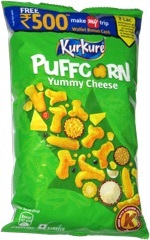 There is also a very strong onion flavor to this, imagine eating a sour cream and onion chip without the sour cream. These are decent chips, I don't think I'd eat a whole bag of them at once, but it's a nice alternative to greasier chips. Smell test: A potato-like aroma. 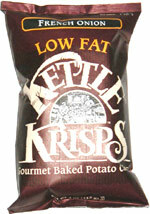 Trivia: 1.5g of fat per serving (1 oz. serving size).